Department of Parasitology, Faculty of Medicine, Ahvaz Jundishapur University of Medical Science, Ahvaz, Iran. Introduction: Toxoplasma gondii infects most warm-blooded vertebrates. Because of the immunodeficiency in hemodialysis patients, these individuals are at higher risk for reactivating chronic toxoplasmosis. Thus, the aim of this study was to investigate seroepidemiology of toxoplasmosis in hemodialysis patients of Ahvaz, southwest of Iran during 2015-2016. Methods: This is a cross-sectional study. A total of 160 participants, 80 hemodialysis patients (test group) and 80 healthy persons (control group) were randomly selected. IgG and IgM against T. gondii was measured by CLIA (Chemiluminescence) and ELISA (Enzyme-linked immunosorbent assay) tests. To analyze the data from Chi-square test, and SPSS statistical software of version 21 was used. Results: In hemodialysis patients, 35 (43.8%) and 25 (31.3%) were positive for the antibody of IgG by ELISA and CLIA, respectively. In healthy individuals, a positive result of 22 (27.5%) and 13 (16.3%) were obtained by ELISA and CLIA, respectively. In hemodialysis patients, 5 (6.3%) and 4 (5%) was positive by ELISA and by CLIA, respectively. In healthy individuals, a positive of 4 (5%) were obtained by ELISA and CLIA. The antibodies of IgG in hemodialysis patients was significantly higher than healthy individuals by ELISA and CLIA (P <.05). Conclusion: The prevalence of Toxoplasma in hemodialysis patients was higher than healthy subjects. Our finding showed a relatively high prevalence of the parasite among hemodialysis patients and healthy individuals in Ahvaz. So, the health authorities of Ahvaz city must pay more attention to control of the infection, especially in hemodialysis patients. 1. Gharavi M, Rahnama N, Jahani M. Seroepidemiological survey of Toxoplasma infections of mentally retarded children. 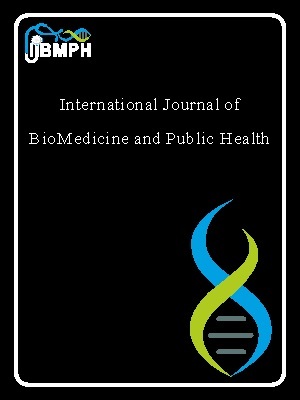 Iran J Public Health. 2005;34(1):19-22. 2. Gharavi M, Jalali S, Khademvatan S, Heydari S. Detection of IgM and IgG anti-Toxoplasma antibodies in renal transplant recipients using ELFA, ELISA and ISAGA methods: comparison of pre-and post-transplantation status. Ann Trop Med Parasito. 2011;105(5):367-71. DOI: 10.1179/1364859411Y.0000000022. 3. Jeannel D, Niel G, Costagliola D, Danis M, Traore BM, Gentililini M. Epidemiology of toxoplasmosis among pregnant women in the Paris area. Int J Epidemiol. 1988;17(3):595-602. PMID:3264821. 4. Jones JL, Ogunmodede F, Scheftel J, Kirkland E, Lopez A, Schulkin J, et al. Toxoplasmosis-related knowledge and practices among pregnant women in the United States. Infect Dis Obstet Gynecol. 2003;11(3):139-45. PMID:15022874. 6. Ahmadpour E, Daryani A, Sharif M, Sarvi S, Aarabi M, Mizani A, et al. Toxoplasmosis in immunocompromised patients in Iran: a systematic review and meta-analysis. J Infect Dev Ctries. 2014;8(12):1503-10. 7. Soltani S, Khademvatan S, Saki J, Shahbazian H. Detection of Toxoplasmosis in Renal Transplant Recipients by ELISA and PCR Methods in Ahvaz, South-West of Iran. Jundishapur J Microbiol. 2013;6(9). PMID:25500647. 8. Saki J, Khademvatan S, Soltani S, Shahbazian H. Detection of toxoplasmosis in patients with end-stage renal disease by enzyme-linked immunosorbent assay and polymerase chain reaction methods. Parasitol Res. 2013;112(1):163-8. DOI: 10.1007/s00436-012-3120-6. 9. Nasiri V, Esmailnia K, Karim G, Nasir M, Akhavan O. Intestinal parasitic infections among inhabitants of Karaj City, Tehran province, Iran in 2006-2008. Korean J Parasitol. 2009;47(3):265. DOI: 0.3347/kjp.2009.47.3.265. 10. Firouz ZE, Kaboosi H, Nasiri AF, Tabatabaie SS, Golhasani-Keshtan F, Zaboli F. A comparative serological study of toxoplasmosis in pregnant women by CLIA and ELISA methods in Chalus City Iran. Iran Red Crescent Med J. 2014;16(4). DOI: 10.5812/ircmj.15115. 11. Mousavi SSB, Faramarzi M. Do we Need to Screen Uremic Patients for Toxoplasmosis before Kidney Transplantation? Shiraz E-Med J.. 2013;14(4). 12. Nissapatorn V, Leong TH, Lee R, Ibrahim J, Yen TS. 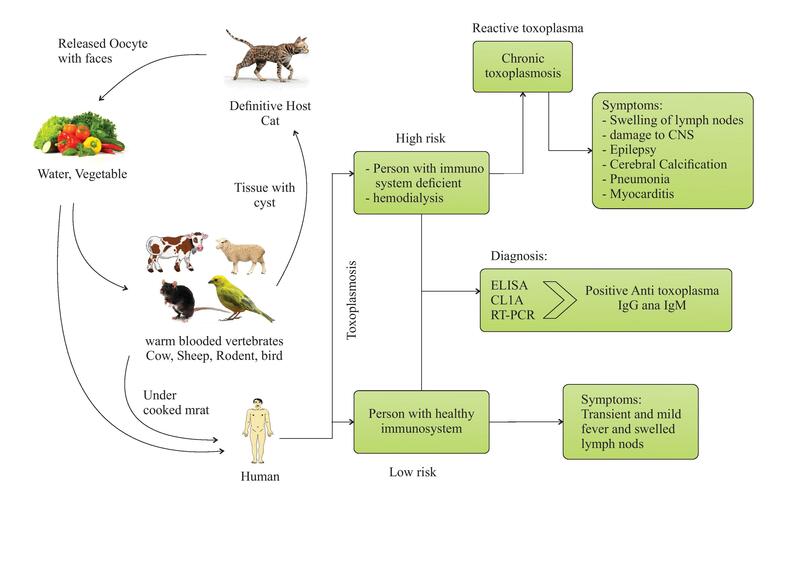 Seroepidemiology of toxoplasmosis in renal patients. Southeast Asian J Trop Med Public Health. 2011;42(2):237. PMID:21710842. 14. Rasti S, Hassanzadeh M, Soliemani A, Hooshyar H, Mousavi SGA, Nikoueinejad H, et al. Serological and molecular survey of toxoplasmosis in renal transplant recipients and hemodialysis patients in Kashan and Qom regions, central Iran. Ren Fail. 2016:1-4. DOI: 10.3109/0886022X.2016.1172940. 15. Zadeh AE, Bamedi T, Etemadi S, Shahrakipour M, Saryazdipour K. Toxoplasmosis as a complication of transfusion in hemodialysis patients. Iran J Ped Hematol Oncol. 2014;4(1):22. PMID:24734160. 16. Maraghi S, Yadyad MJ, Sheikhi M, Shamakhteh F, Latifi SM. Study the anti-Toxoplasma antibodies (IgG and IgM) in hemodialysis patients of Abadan and Khoramshahr cities Southwest Iran in 2011 using ELISA. Jundishapur J Microbiol. 2013;6(7). DOI:10.5812/jjm.7113. 17. Ocak S, Duran N, Eskiocak AF, Aytac H. Anti-Toxoplasma gondii antibodies in hemodialysis patients receiving long-term hemodialysis therapy in Turkey. Saudi Med J. 2005;26(9):1378-82. PMID:16155651.